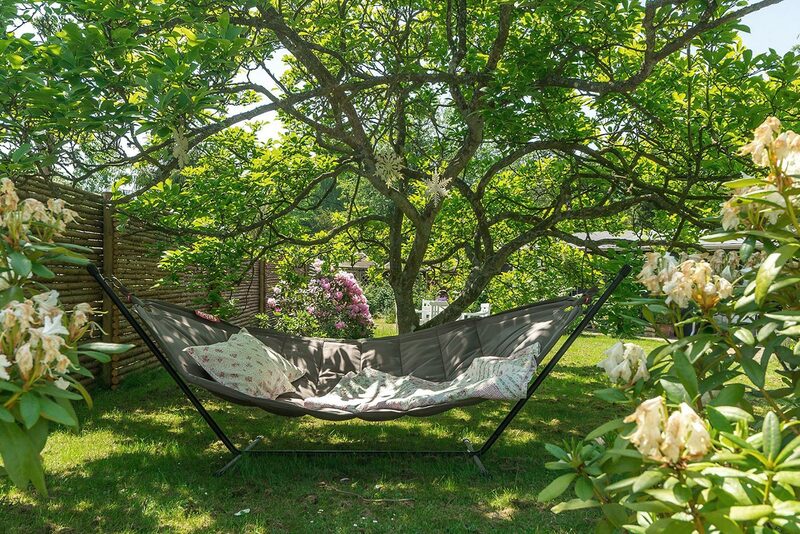 When you mix comfort with beauty you get a result such as this. 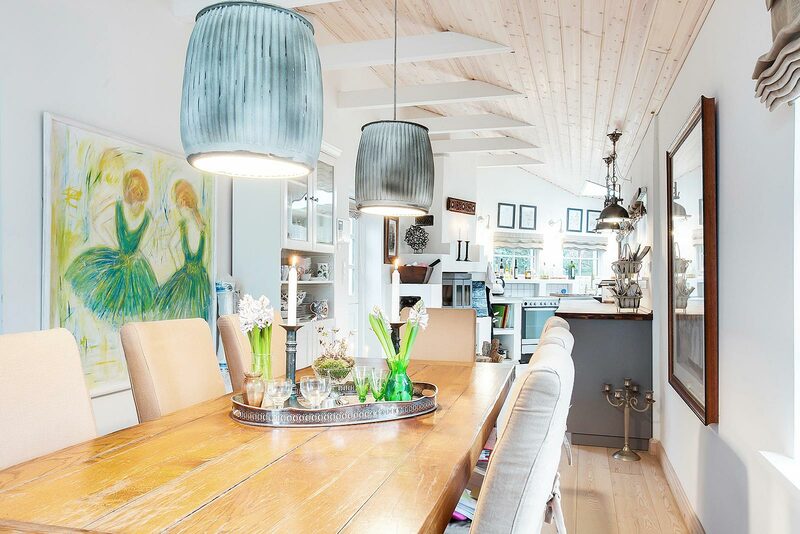 The gorgeous and cozy cottage was built with ease and style in mind, showcasing a blend of country with Greek influences. 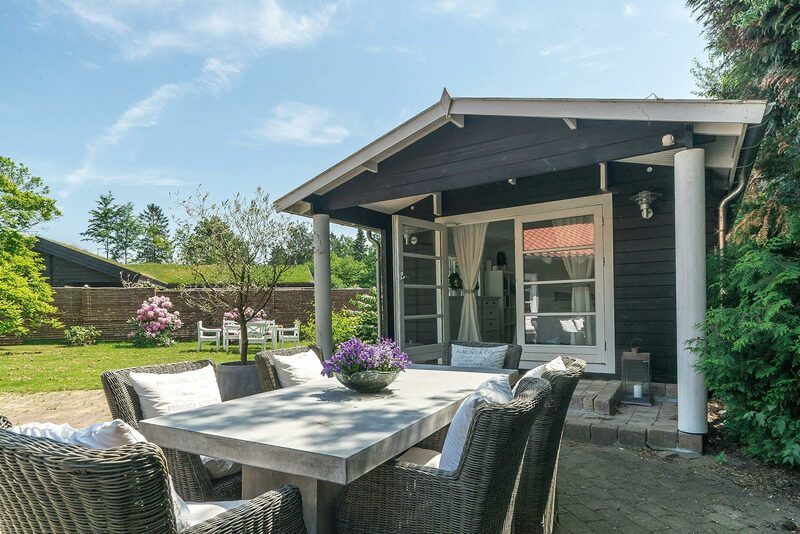 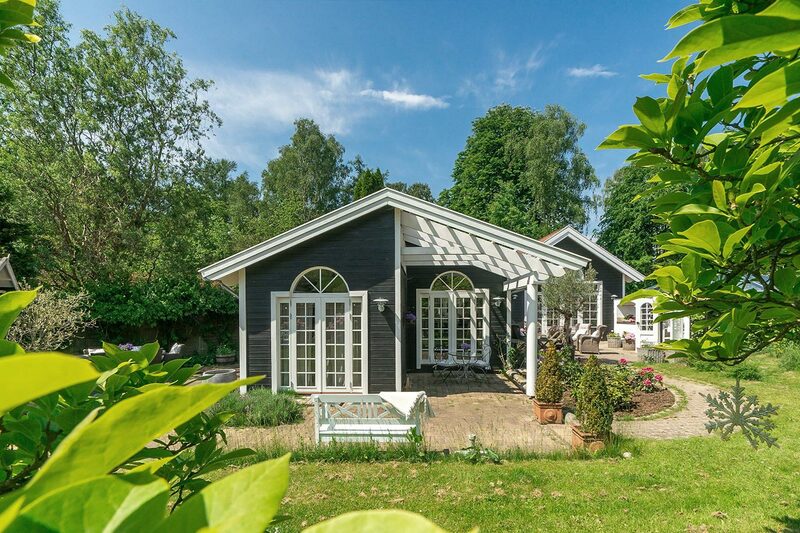 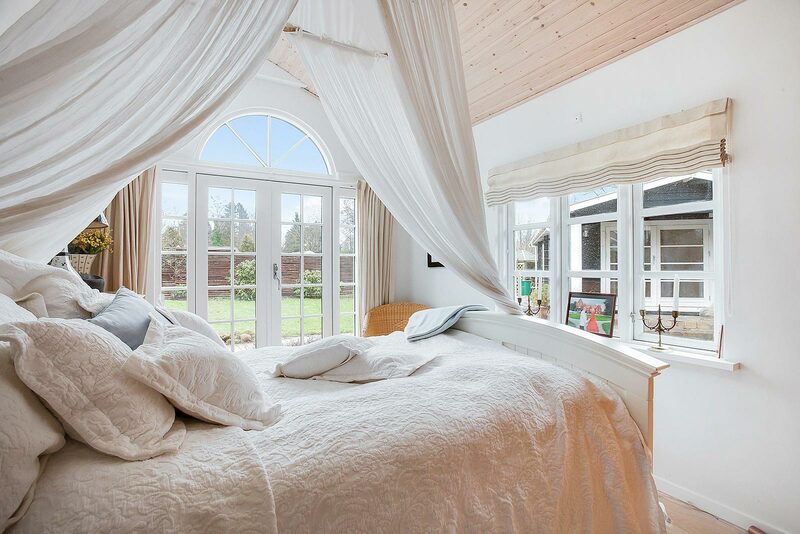 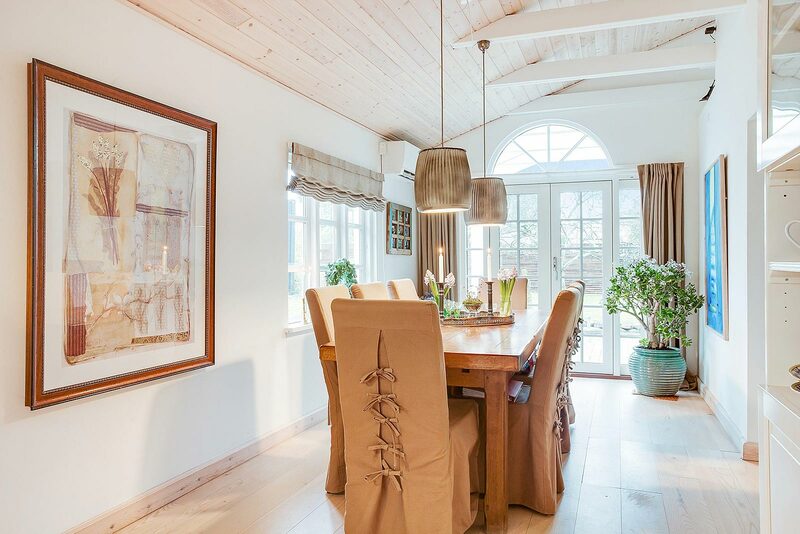 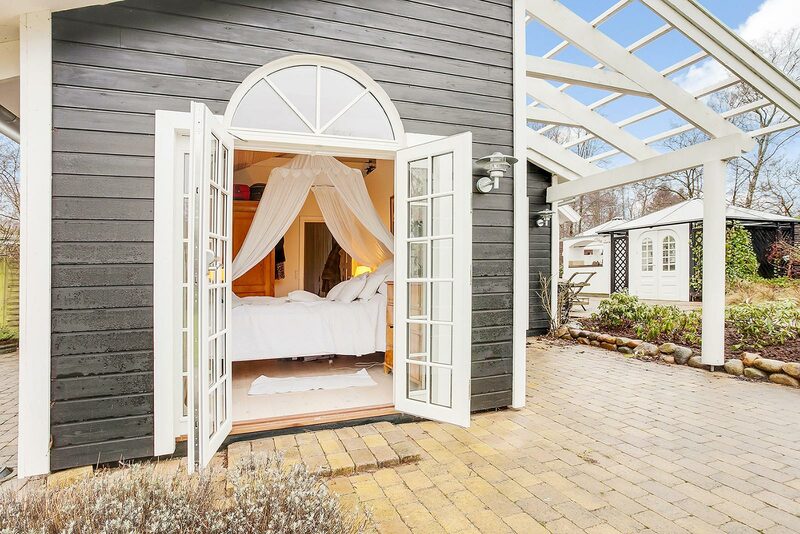 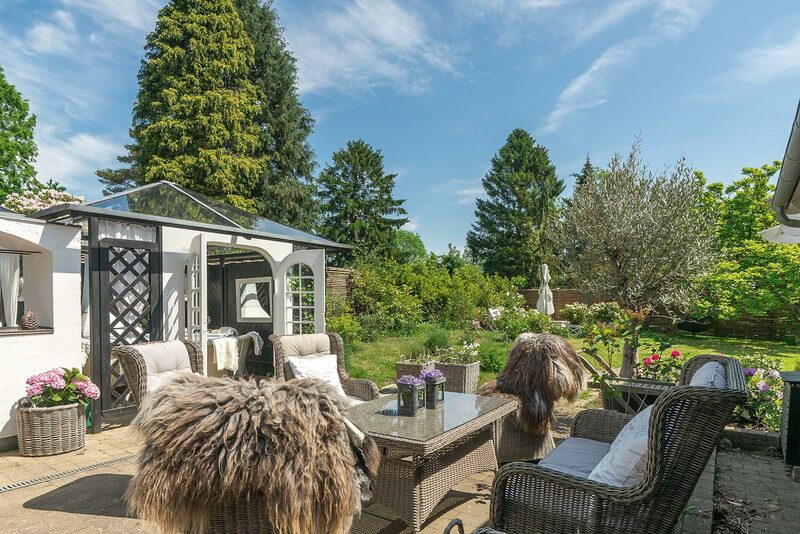 The stunning cottage sits in the heart of Denmark, away from the bustling sounds of the city, where the home owner can enjoy the beauty of nature which surrounds it. 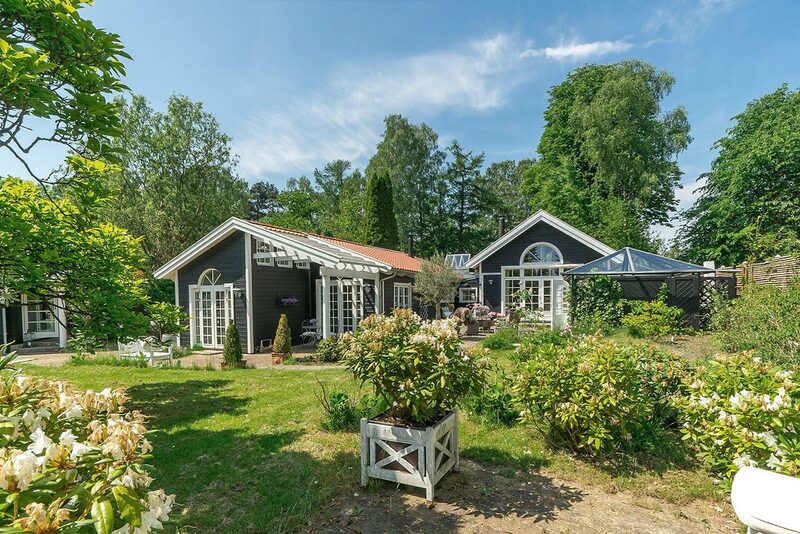 The exterior, a traditional country grey-blue with white trim, shows adorned with bright and colorful flowers amongst the lush greenery. 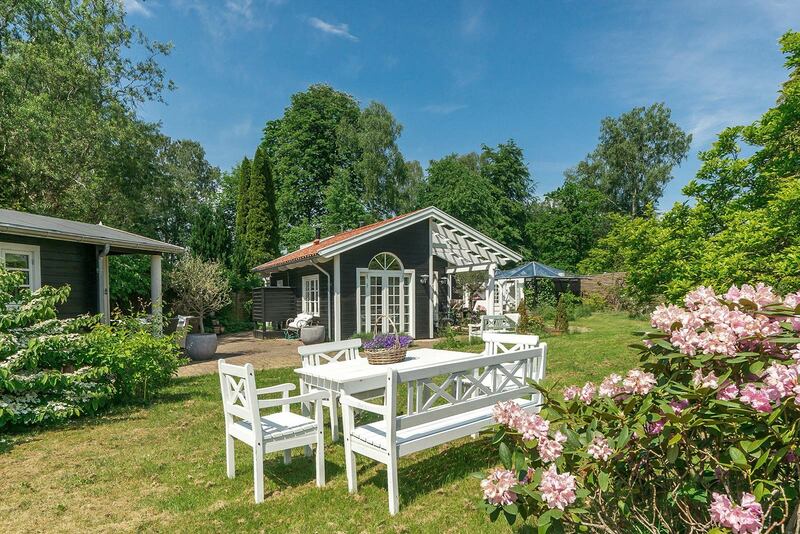 Lattice and neatly trimmed garden beds line the perimeter and lead to the outdoor living area in the back. 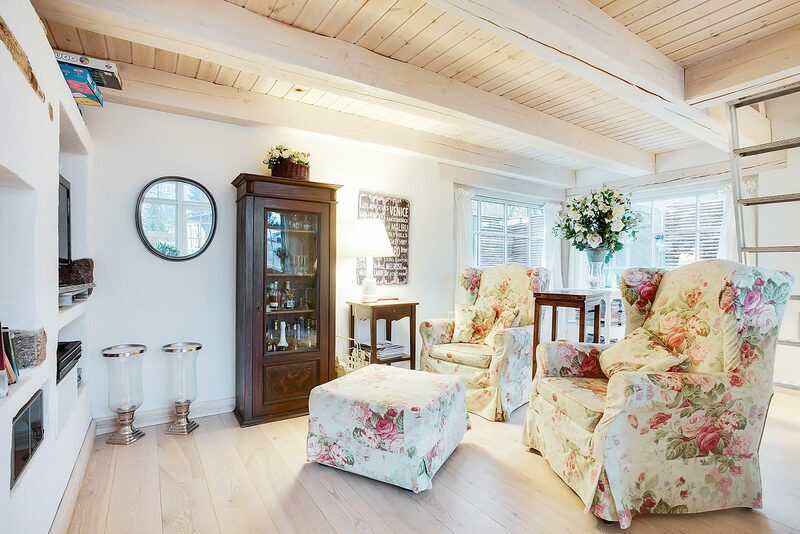 There, you will find a concrete slab with cottage style furniture made of rattan and natural, unfinished wood. 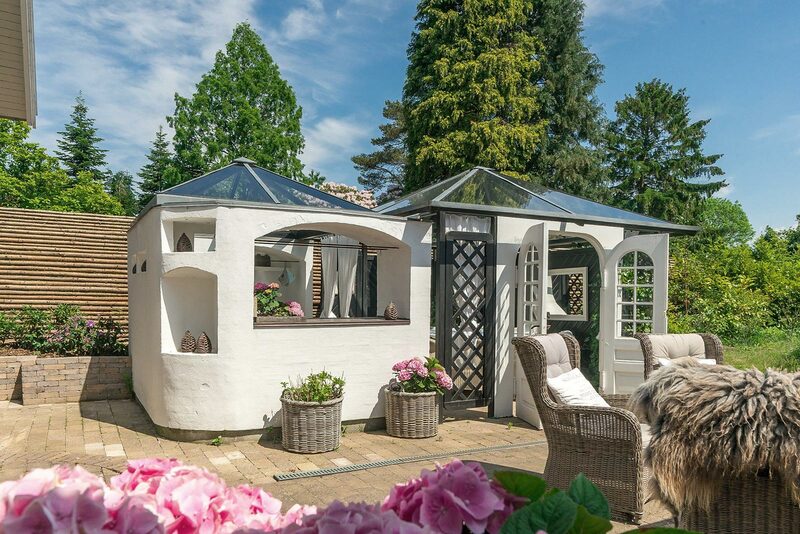 A small outbuilding sits just off to the side, constructed from the same stone cast structures in Greek architecture. 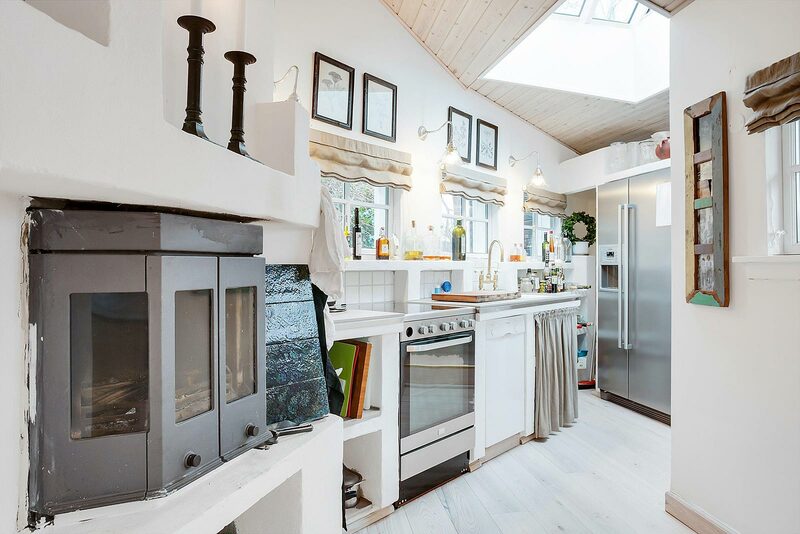 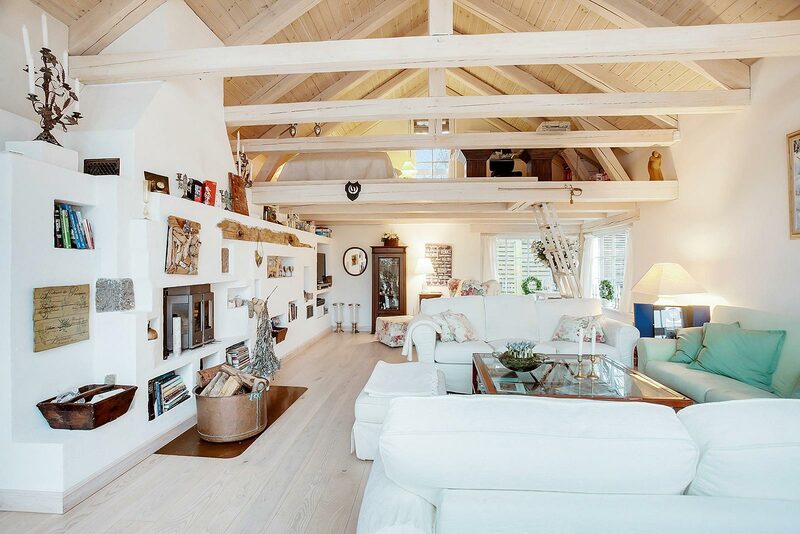 Inside, you’re met with bright white, cozy cottage interiors. 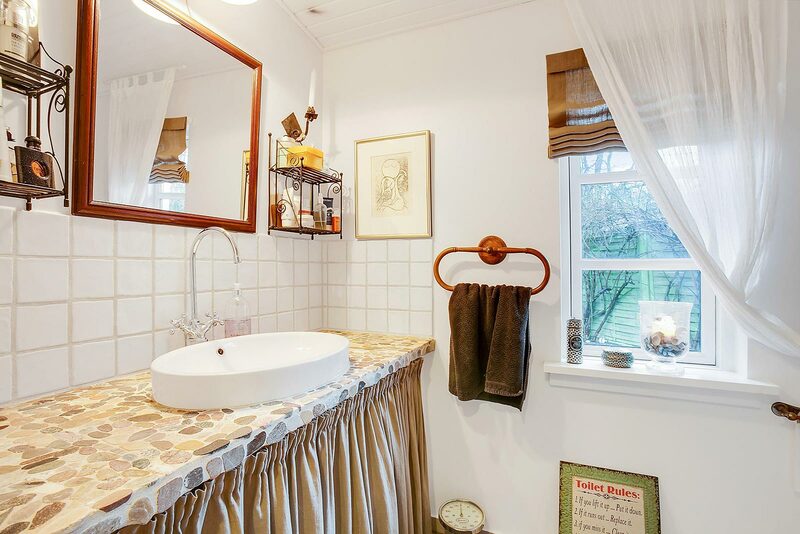 White washer wooden slats cover the floors and are mirrored above in the ceilings. 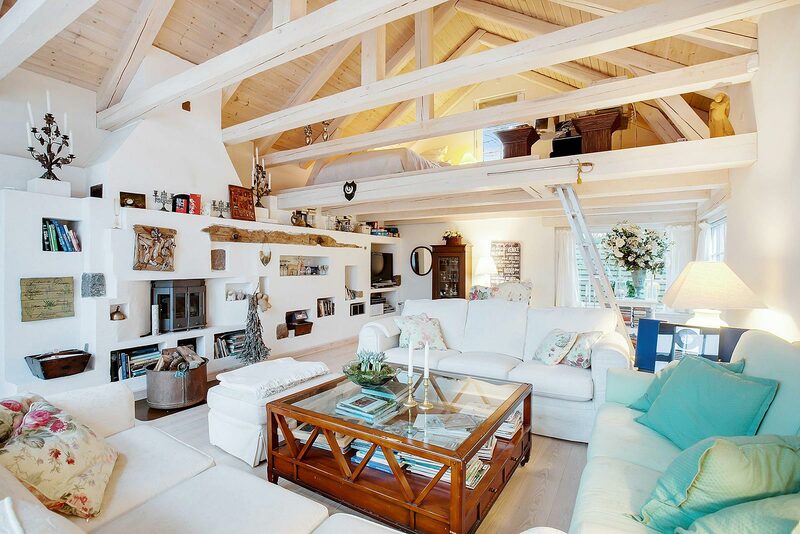 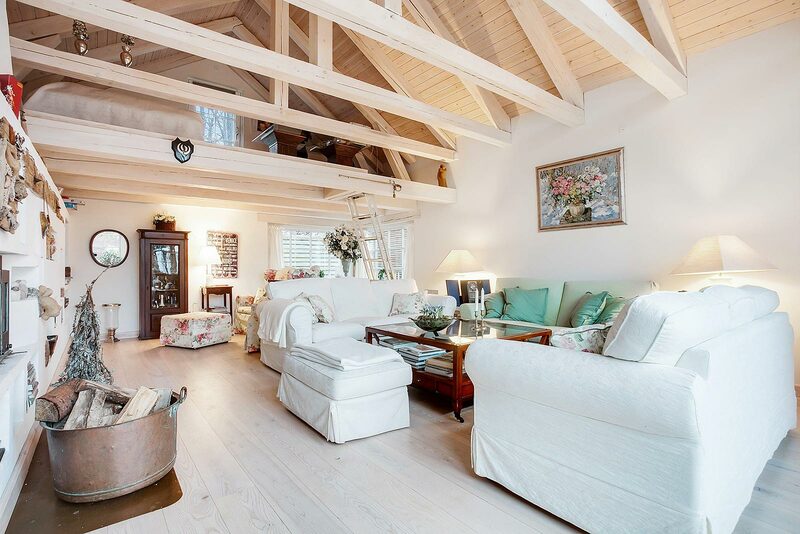 Thick wooden beams string from side to side in each room, adding extra support as well as style. 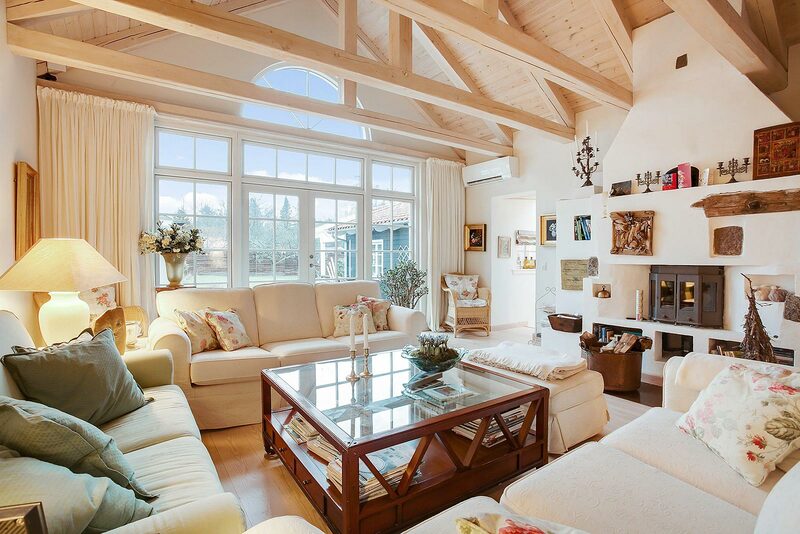 Big, open windows let in the soft glow of natural light to make the pale palette shine. 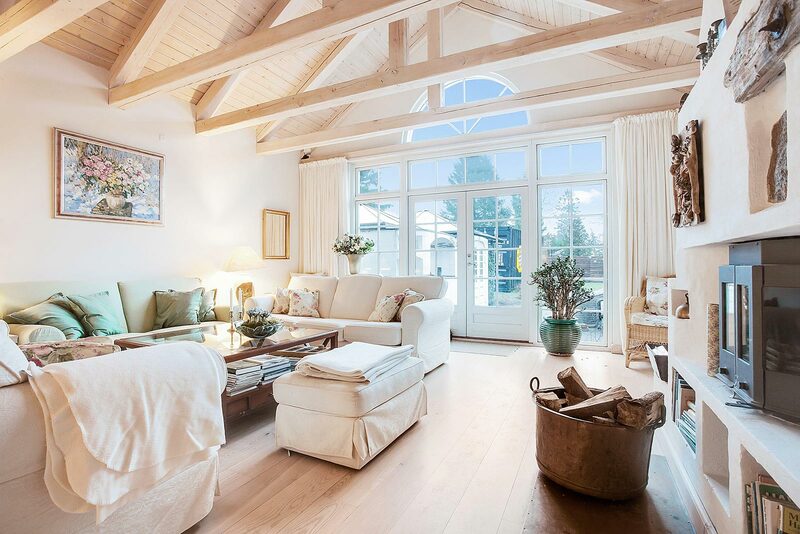 A spacious living room, matched to the same white pallet, is adorned with comfy pillows and cotton linens. 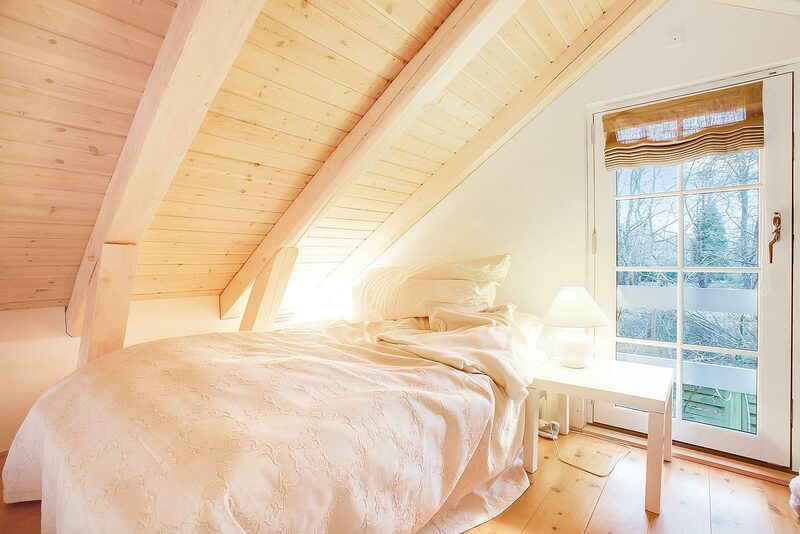 Above, you see the loft style bedroom that can only be accessed by a ladder. 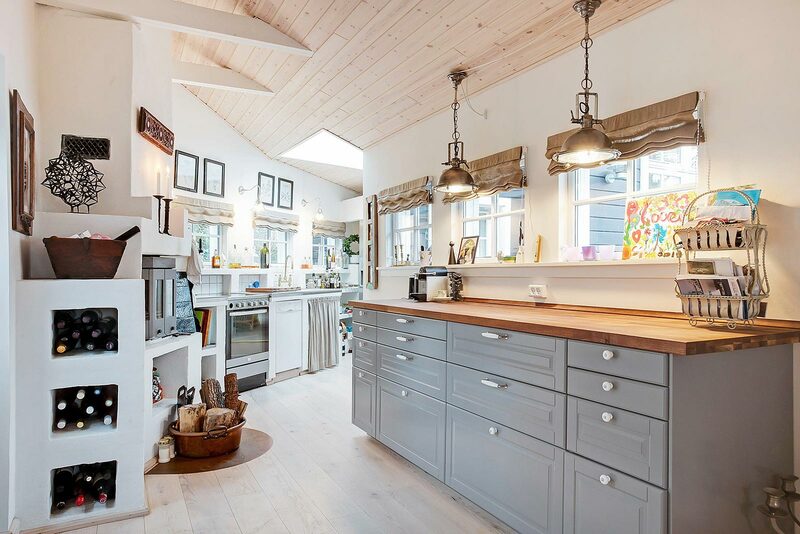 An oddly shaped kitchen in the form of an obscured L can be found with soft painted grey cabinetry, and mixed with the same Greek stone-cast architecture in the shelving. 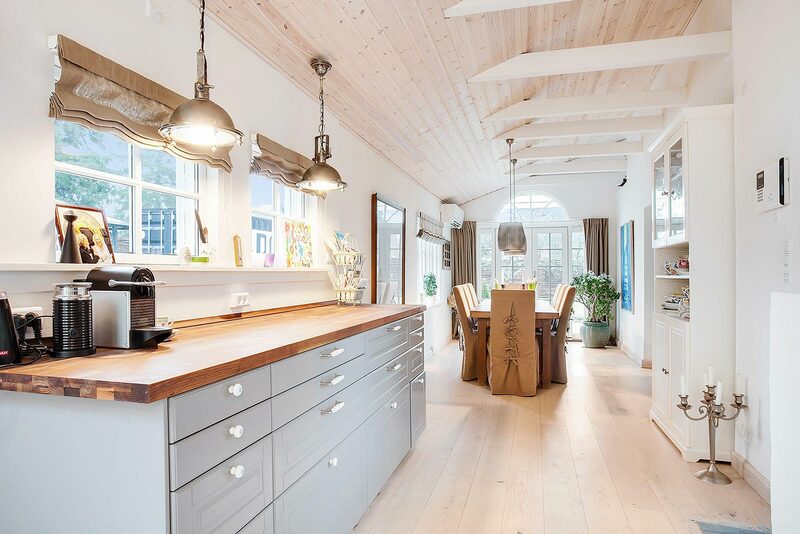 The kitchen may be modest, but functional, and sits sideways to the roomy dining area. 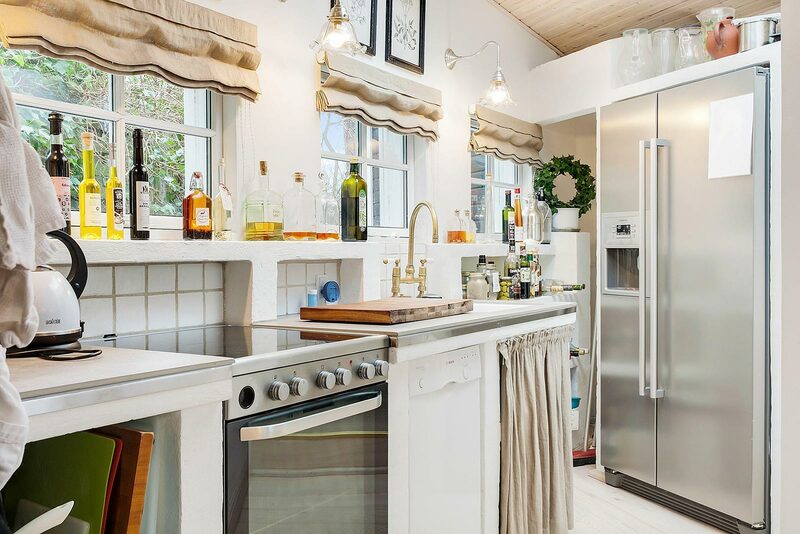 This renovated cottage is a dream home for country lovers.